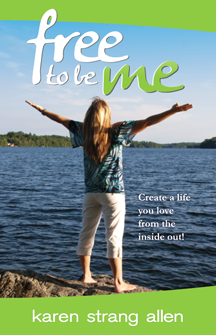 Free to be me: Create a life you love from the inside out! is a simple, low-cost way of transforming your life and the way you see yourself…forever. Do you struggle to get your life to work the way you want it to? Are you too busy to breathe? Do you long for something better? You are not alone. Millions of people wrestle with the same questions. They want to discover their purpose, their joy, and a connection with something greater than themselves. There is hope. There is an answer. You are the answer. You already have everything you need to create the life of your dreams! You just need to tap into your own inner resources. Do you want to start living the life you’ve always dreamed of? Begin today. Your amazing life is waiting for you. I am passionate about making the world a better place, and about empowering women and girls. So 10% of the profits from my books are donated to Plan International’s Because I am a Girl initiative.